Your office washroom cleanliness has a direct knock-on effect on various operational aspects of your business. In contrast, neglecting your washroom hygiene will have you tasting the bitter fruits sooner rather than later. Because, in reality, washroom cleanliness goes way beyond your washroom! It can greatly impact your employee satisfaction and turnover. It can also generate unnecessary costs and damage to your business due to health risks. And the costs can be considerable! Decreased productivity through absenteeism costs Australian economy a staggering $33 billion annually. It’s astounding how quickly a business can lose its good reputation due to bad washroom hygiene. Employees, customers, visitors, and suppliers – everybody gets affected by the state of your toilet facilities! And they are going to take these things into account when judging your business. A recent survey reveals that an unkempt toilet tarnishes the image of a business in consumers’ minds. The problem is further aggravated if you fail to comply with WHS legislation in your workplace. So before these problems befall you, you better equip yourself with ways to confront them. And that’s exactly what you’re about to learn in this article! Uncover the secret of a flawless office washroom in four simple steps. Put them into practice and get a washroom that’s going to wow everyone! An office restroom isn’t as nasty as a public convenience – but it still poses a significant health hazard. So, how you keep your washroom will have a far-reaching impact on your workplace health and safety. As a business owner, you’re obliged to provide a safe work environment and minimise potential health risks. But taking your washroom hygiene seriously means paying attention to common surfaces. They often get neglected, even though they’re hotspots of disease-carrying germs! Given the volume of people circulating in the area and the number of contact points, you’d better get those caretakers do some more targeted cleaning. If left unattended, the dirt from your sink areas, taps and door handles will be spreading around the office as well. Pay special attention to toilet seats, toilet handles and soap dispensers. 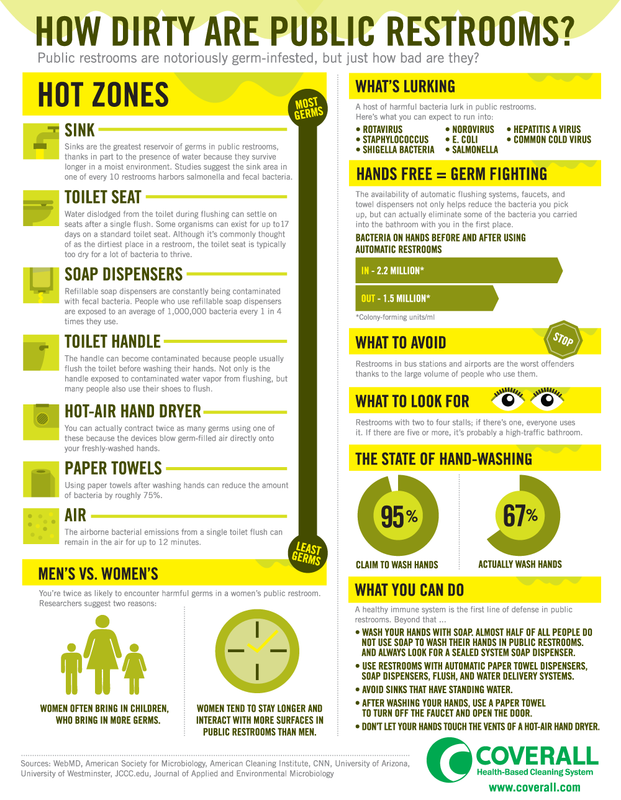 And check out this infographic for more office washroom hot zones of cross-contamination. Click the image to view the whole infographic. 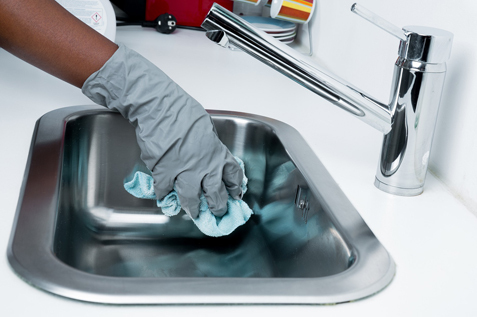 The products which reduce common contact points will help you minimise cross-contamination. 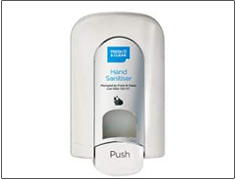 So, get some touch-free soap dispensers and hand sanitisers. They will make your office washroom not only presentable but also sanitary and safe! Whatever you do, you won’t be able to keep things shipshape without a little help from your employees. After all, if they don’t care too much about bathroom etiquette, it’ll be impossible to clean after each of them. If you build a culture that rewards cleanliness, everyone will end up being happier. This might surprise you, but employee complaints about bathroom habits of their colleagues turn out to be commonplace. A hot off the press survey found that 51% of workers have been ‘horrified’ by the condition of their office bathroom at least once over the period of 6 months. While 48% of people are apprehensive about using the office bathroom. These stats show a pressing need that every member of the staff leave the bathroom how they’d like to find it. Now all you need to do is promote adherence to bathroom etiquette. But how will you do that? Most painlessly, by putting bathroom etiquette posters up on your office washroom walls. And if you manage to find ones with an occasional touch of humour, better still. This way you’re improving the chances the rules will be actually obeyed. It’s a natural thing, you know how nobody likes to be preached too! Fresh & Clean has done it for you! We’ve compiled a selection of funny, entertaining toilet cubicle posters. They’re crafted in a light-hearted way to entice your staff to mind a few things here and there while using the toilet. One of the top things most of us dread is witnessing unclean toilet seats and urinals. And for a good reason! Most people will find an unsightly image of soiled and urine-sprinkled toilet seats repulsive. Plus, these are high-frequency spots where harmful germs threaten to undermine the health of your staff and customers. Yet, there’s one solution that’ll bring both a psychological and a practical relief about this chronic problem. It’s an implementation of WC sanitisers into your toilet cubicles and urinals. Fresh & Clean’s seat sanitisers make for an effective way to keep your office toilet seats safe and sanitary before and after use. Their fast-drying liquid formula will eradicate germs and facilitate the toilet use. 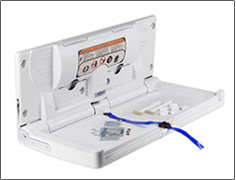 Our digital WC or urinal sanitisers represent another step towards the well being of your toilet users. After a WC has been flushed, harmful germs can become airborne and thus harmful to health. That’s where the WC and urinal sanitisers jump in! They will disinfect the entire area and prevent uric acid build-up. Clean your washrooms with green products. Even better, opt for biological cleaning products. Aside from being green and safe to use, they deal with a host of washroom problems. And what sets them apart from other products is that they’re getting to the very root of all those problems! The trickiest issue with communal toilets is taking care of offensive odours. Even for the cleanest of places, having huge volumes of people circulating makes this issue hard to eradicate. The bad thing is, people associate a foul smell with uncleanliness. 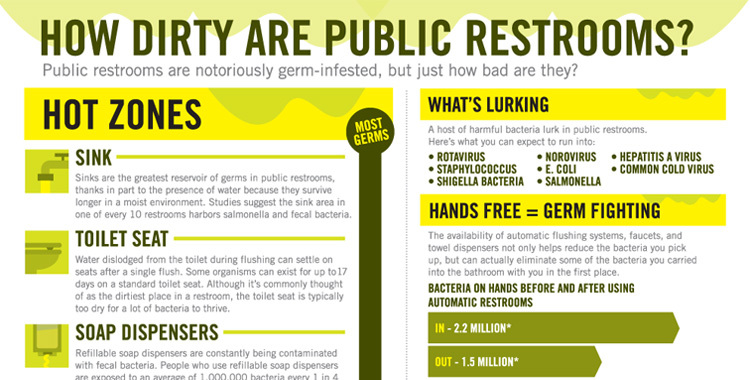 Moreover, more than six in 10 would negatively assess a business with smelly bathrooms. This inconvenience triggers various negative responses. Choosing to leave or not return to an establishment (51%), complaining to the owner or manager (25%) or posting a bad online review (6%). Biological products can fix your washroom odour problems! Fresh & Clean offers an Intensive Biological Treatment that will do precisely that! 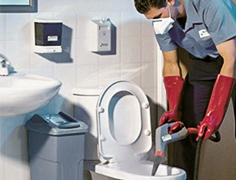 We will deep-clean your washroom with bioproducts based on beneficial bacteria. The good bacteria will feed on harmful germs and grime in your toilets and urinals. So the entire process is green, natural and successful! Digitally-controlled. 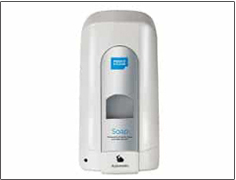 Keep the most germ-filled areas of your washroom clean and sanitised. And don’t worry – this venture will be absolutely financially worthwhile. But now it’s time to uncover the revolutionary changes Intensive Biological Treatment can make to your washroom! It’s an amazing new technology that has got two most crucial benefits. 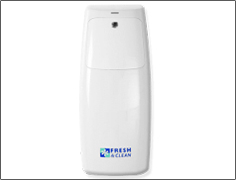 It fixes all stubborn washroom problems and it protects the environment. What more would one want from a cleaning process? Were initially sceptical about arriving at an absolutely flawless office washroom in just 4 simple steps? Now you see how super easy it is! Simply follow our straightforward tips. You’ve got all your chess pieces strategically positioned on the chessboard – all you need to do is make a move! Partner with Fresh & Clean and you are on top of the game! We offer you a comprehensive washroom solution for unparalleled cleanliness with no hassle at all! You can trust us, for our expertise is everything washroom. With more than 50 years of qualified experience, we produce innovative and environmentally sound solutions. Contact us today for sparkling, hygienic washroom spaces all year-round.